For the ESP32 see here. 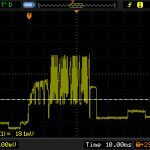 As there is quite a bit of confusing documentation about the power management of the ESP8266, here’s a little overview. 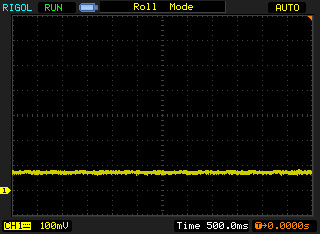 We are going to use the Arduino core for ESP8266 because it seems to be more mature than Espressif’s own SDK. The latest release is 2.3.0 and contains SDK 1.5.3 and this article will refer to that version. The master branch contains a few more convenience functions like wifi_fpm_auto_sleep_set_in_null_mode() and WiFi.setSleepMode() but we’ll ignore them here because it doesn’t look like there’s a new release coming any time soon. After an idle timeout of 10 seconds the WiFi hardware will be shut down. 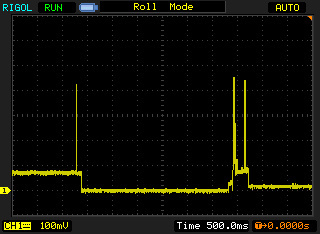 It wakes up every <100 ms * Access Point DTIM interval> to check for incoming data. Everything else powered up. Note: If the WiFi connection is not configured or not reachable, the chip will not sleep at all. 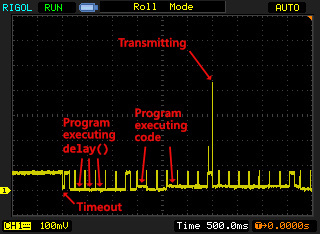 Note: Auto Modem Sleep will not happen if there are no delay() or only delay(0) calls in the code. If Wifi is idle, about 70 mA until timeout, then about 18 mA. If you need Wifi connectivity and Auto Light Sleep didn’t work for you. Do nothing, this is the default. After an idle timeout of 10 seconds the WiFi hardware will be shut down. 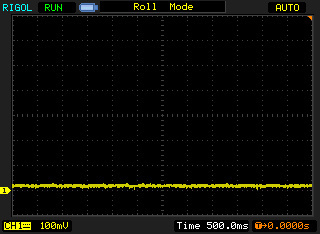 It wakes up every <100 ms * Access Point DTIM interval> to check for incoming data. Furthermore while the program is running delay() the system clock will be shut down too. Note: Auto Light Sleep will not happen if there are no delay() or only delay(0) calls in the code. 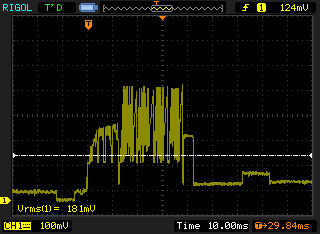 If Wifi is idle, about 70 mA until timeout, then about 2 mA. Recommended power state if you need Wifi connectivity. 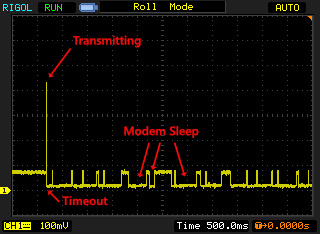 Because of the halted system clock some peripherals might not work in this mode, use Auto Modem Sleep in those cases. WiFi hardware is off, everything else powered up. If you also use ESP.deepSleep(), you can add RF_DISABLED as the second argument, this prevents the Wifi hardware from booting up after deep sleep. (See below.) Note that there is no way to enable it again without deep sleeping again. 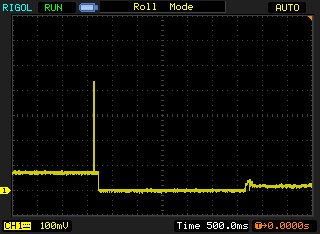 Everything is halted until woken up by a GPIO interrupt. When you want to sleep until an external event happens and you want to keep the current execution state. The Espressif Non-OS API reference contains an example where wifi_fpm_do_sleep(50*1000) is called to wake up from Forced Light Sleep by a timeout. 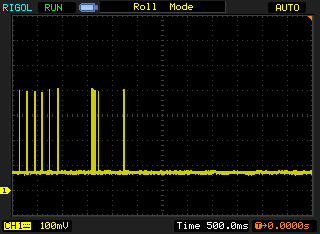 I think that won’t work, only 0xFFFFFFFF with GPIO wakeup works. 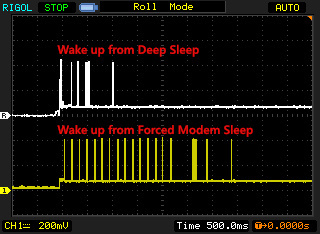 If you call wifi_fpm_do_sleep() with a timeout, the chip will only go to Force Modem Sleep. There is some indication that it might actually work with timeouts, but it seems to be super unreliable. If you want to do that, you’re on your own. 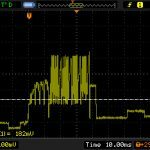 Hardware: Connect GPIO16 to RST (not to CH_PD). Contrary to what I’ve read, this does not seem to prevent programming. 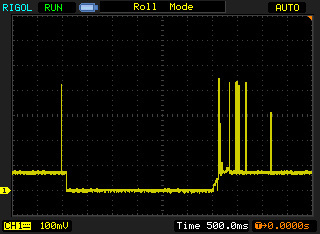 Unfortunately there does not seem to be a mode where WiFi is off and the CPU will still sleep during delay(). This application note recommends to use light sleep instead of deep sleep when sleeping less than 2 seconds, but I don’t consider that very practical advice given the fact that you can’t use a timer to wake up from light sleep. Your document is extremely helpful. 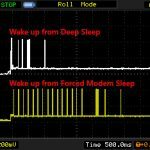 I am struggling to get my nodemcu / esp8266 to go to forced light sleep, or even auto light sleep. https://stackoverflow.com/questions/52767240/light-sleep-with-gpio-wakeup-in-esp8266 Here is the question i have in detail, can you please help me resolve this problem. The concerns i have is that i cannot get to sleep “well” and when i try to wake it up, it doesnt wake up. Really good analysis and really helpful for the community! I’m using a Wemos D1 mini with MQTT publish-subscribe interface. I need it to keep the power consumption as low as possible because it is battery supplied. I use the controller to count down specified time that has to appear in a 7 segment display while counting! Thinking about deep sleep while no time is specified, and waking after some external interrupt in the already existant buttons! but I’m not sure if any of the sleep types may keep the controller counting and displaying the time on the 7-segment while sleeping. like executing the countdown while displaying it and waking at the end to publish on the broker. You can sleep while doing something, such as displaying the time on a 7-segment display. The key is to remember the device can sleep for a few miliseconds at a time. If you want to update your display once per second, you can easily sleep between updates. There are a total of five different power modes. Active, modem sleep, light sleep, deep sleep, hibernation. Some tasks may require an external latch or other component to maintain state during some sleep modes. thank for your post of the Sleep States. But to understand you Pics correctly you should explain in a few words what you have measured. Did you use a current probe? And whats the resolution of it? It is 100 mA per 100 mV??? I used a 1 Ohm shunt, so 1 mV means 1 mA.